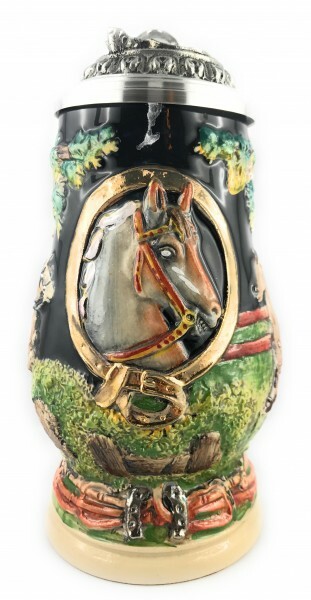 Product information "Horse beer stein yellow painted"
The wonderful designed horse stein, has a big horse head on the front. On the pewter lid you also find a horse head again, and as a tum lift it has a horse shoe (luck bringer). On the side you find some horse riding sence. Related links to "Horse beer stein yellow painted"
Customer evaluation for "Horse beer stein yellow painted"